Will Medicaid Bring The Uninsured Out Of The Woodwork? : Shots - Health News As governors weigh whether to participate in an expansion of Medicaid under the federal health law, some worry the change could attract people who don't qualify for a special subsidy. Adding them to Medicaid rolls could strain states' budgets. Ever since the Supreme Court decided last month that an expansion of Medicaid under the Affordable Care Act should be optional, quite a few Republican governors have been vowing to take a pass. On Monday, Texas Gov. Rick Perry declared that he won't be expanding Medicaid. He joins other GOP state executives who have rejected offering Medicaid to people with incomes up to 133 percent of the poverty line. This year that's just under $15,000 a year for an individual, or a little over $25,000 for a family of three. "We're not going to participate in any exchanges," Perry said on Fox News. "We're not going to expand Medicaid. We're just not going to be a part of, again, socializing health care in the state of Texas. And going in direct conflict with our Founding Fathers' wishes and freedom, for that matter." 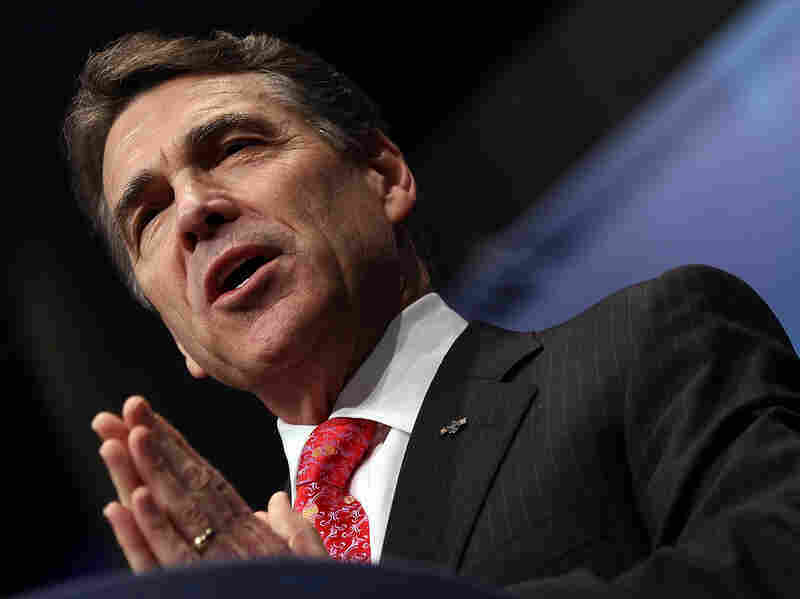 Perry and his colleagues say they're rejecting the health law for mostly ideological reasons. That's because when it comes to Medicaid, the states don't appear to be on the hook for very much money. "The law provided 100 percent coverage for people newly eligible for Medicaid by the federal government, and 90 percent in the out years," says Jeff Goldsmith, a health policy analyst who teaches public health at the University of Virginia. Compare that to the rest of the Medicaid program, where the federal government pays an average of just under 60 percent. But it's not just those newly eligible people states are worried about. "Folks don't really understand the struggle states are in," says Dennis Smith, secretary of the Wisconsin Department of Health Services and former head of the federal Medicaid program under President George W. Bush. Smith says this year his state put more than a billion dollars into its existing Medicaid program. "And that took up literally almost the entire new revenues available to the state — meaning revenues not just for health care, but also intended for education, transportation, law enforcement and everything else," he says. Even so, Wisconsin had a $600 million budget shortfall. "So states just don't have the dollars, even with those enhanced federal match rates," Smith says. But what really has many state leaders worried is something called the "woodwork effect." When big parts of the health law go into force in 2014, they worry it will bring out of the woodwork the millions of people who are already eligible for Medicaid but aren't already enrolled. When some people look to see if they can get health insurance through one of the health exchanges, they may discover a cheaper option. "They will find out that they're actually eligible for Medicaid," says Bruce Lesley, president of First Focus, an advocacy group for children and families. But many of those people signing up for Medicaid won't be members of the newly eligible expansion group, whose bills will be largely paid by the federal government. They'll be regular old Medicaid beneficiaries, and states will have to pay up to half their costs. Goldsmith says what has state officials most worried is how easy it will be for these currently eligible but unenrolled Medicaid recipients to sign up. "It won't be an in-person visit, it won't be a 'bring six forms of ID,' " he says. "There will be an expedited — lubricated, if you will — process to get people onto the rolls, and I think that's the part that's giving state budget officers serious indigestion at this point." Goldsmith says state officials he's talked to worry that Medicaid, already the largest piece of almost every state budget, could end up dwarfing everything else. 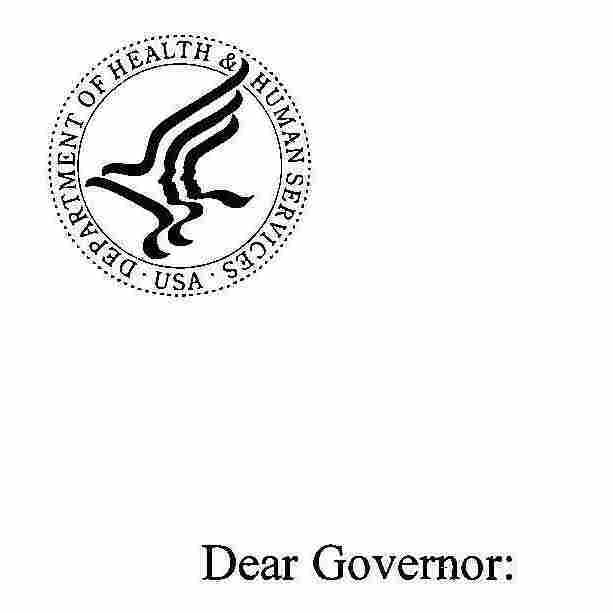 "The health and human services secretary of Louisiana told me that at full implementation, 48 percent of the citizens of his state would be on Medicaid," he says. "And I strongly suspect that [as] you go across the Southern tier of the United States, you'll see a lot of those states in the 30s. A third of their citizens eligible for or potentially enrolled in Medicaid." That has some states looking at cutting back their Medicaid programs even now. Wisconsin's Dennis Smith, who used to run the federal Medicaid program, says he reads the Supreme Court decision as allowing that. But the Obama administration disagrees. Last night it sent a letter to all the nation's governors, noting that "the Court's decision did not affect other provisions of the law." An administration official confirmed that included the requirement that states maintain current eligibility levels until the year 2014. Health advocate Lesley, a former Capitol Hill staffer, agrees with the administration. "Our reading of the Supreme Court ruling is [that] the opinion by Justice Roberts ... cites basically a specific section of the law and basically changed the idea that the Medicaid expansion can no longer be a mandatory thing, but now is optional," Lesley says. "However, what it didn't touch on was this idea of requiring states to maintain coverage. So we believe that that is absolutely still in place."